I have been playing around with directquery in CTP3. There a few benefits that I can see for my use. ROLAP generates SQL queries which select ALL columns in measure groups, whereas, directquery only selects the columns it needs. This is a big advantage if you are using columnstore indexes. ROLAP dimensions are not really real time. When querying them, it just processes the part of the dimension it needs to satisfy the query and caches it for later. There are large query performance penalties here, plus, you will run into problems with managing that cache when data in the underlying table(s) are changed. In the tabular directquery model all data is queried from the database so it is more suitable for real time data. 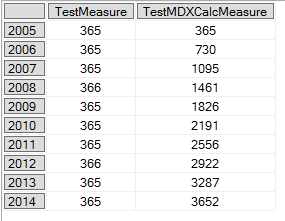 Also, I have found that when using MDX for directquery a single SQL query is generated for each measure selected, whereas, if the equivalent query is written in DAX, a single query with all the measures are generated (where possible). Thanks Richard, this is very useful information. I believe optimisation for column store indexes was one of the main design goals for DirectQuery. Regarding your comment about ROLAP generating queries that select all columns, I’m not sure that’s true in all cases: it will depend on the measure aggregation types. See https://blog.crossjoin.co.uk/2012/11/27/storage-engine-caching-measures-and-measure-groups/ for more details. Regarding your last comment, as I said in this post, don’t worry too much about the SQL that is currently being generated by MDX queries because there are a lot of performance improvements (which should reduce the number of queries being generated, for example) to come before RTM. Good question. 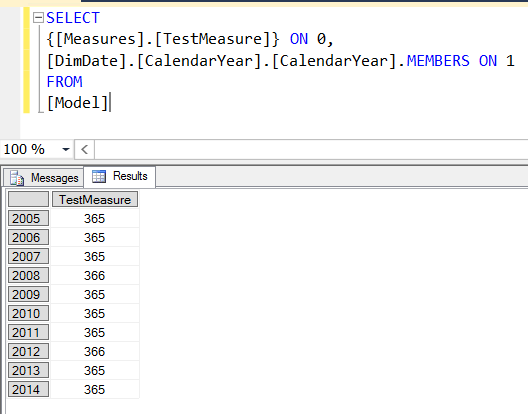 My guess is that the SQL generated in DirectQuery mode will be better – but we will only be able to test properly in later CTPs when the improvements to the SQL generation I mentioned have been made. The key difference between Multidimensional ROLAP and Tabular DirectQuery is that in DirectQuery *all* query logic is translated to SQL, whereas in ROLAP only the Storage Engine operations are translated to SQL. This means that in Multidimensional ROLAP there’s less opportunity to optimise the SQL queries that are generated. Of course, there are still plenty of other reasons to choose Multidimensional over Tabular (eg MDX calculations) so it’s not an easy decision to make. So I have been doing some basic APS (AU4) testing with External tables pointing to Hadoop via Polybase, and then surfacing that with a tabular model in DirectQuery mode, then building an Excel Pivot table against the data model. Got all that? 🙂 Works pretty slick, access Hadoop directly without moving tons of data into the data model, performance isn’t that great (yet). But I am going to continue dow this thread of logic and see where it takes me….good stuff! So basically when i run sql profiler and run the query against my db it executes in milliseconds (indexes are in place for the queried table), but why when i browse the cube the same result is generated in like 15 – 20 seconds? Does the query plan generation and dax to sql conversion part takes the additional time or is it something to do with network latency? 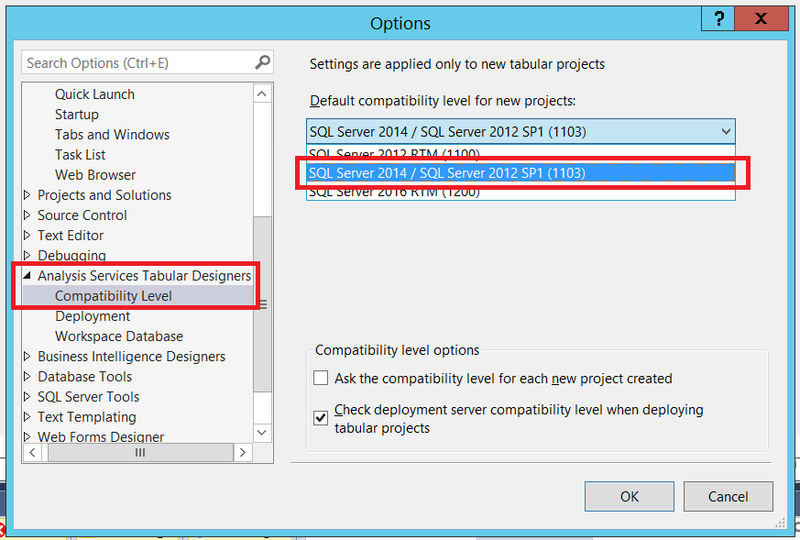 To be clear, you’re running the SQL generated by SSAS and it’s fast, but when you query SSAS itself it’s slow? I wouldn’t expect network latency etc to make that much of a difference. This is hitting a standard star-schema data warehouse structure that uses clustered columnstore indexes on the fact tables (and we’re on SS2016, CU2 applied). Any ideas on why the MAX() statement gets added in the DAX-to-SQL translation, and if there’s a way to modify the tabular model or the DAX expression so that it doesn’t get added? It’s unnecessary for my purposes and ends up producing a bad query plan. Removing the MAX() expression from the SQL code improves the query performance by 95%. Sorry, no, I don’t know why it’s there or how to get rid of it. I guess it will just be trial and error, and if you’re lucky you’ll find something.